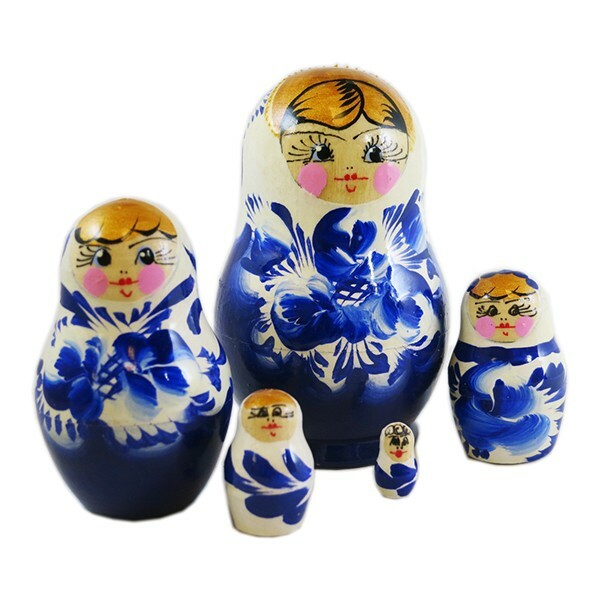 Handmade Gold Painted Gzhel Russian Matryoshka Nesting Doll, 5 pcs, 3.5"
This traditional Russian nesting doll is a true masterpiece. 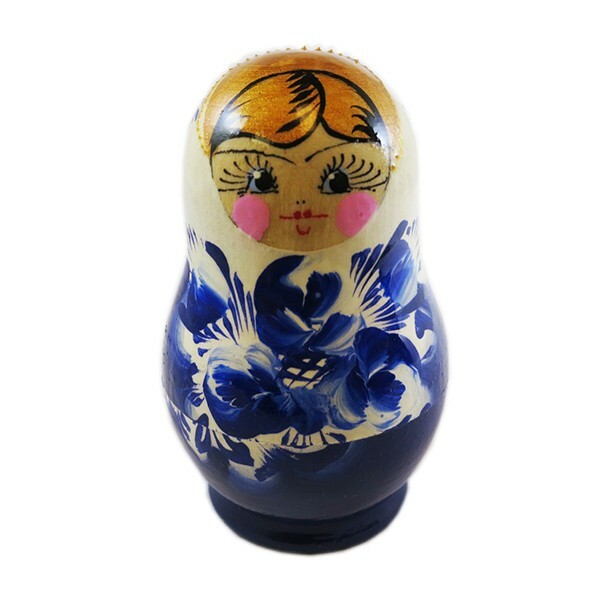 It was handmade and hand painted by a single master, so it is impossible to find a nesting doll similar to this one in any way. It was painted with a deliberate precision and neatness. All the colors blend well together creating a unique look. Some of the elements were painted with a golden paint and decorated which give an excusite and expensive look to the nesting doll. A present like this will amaze your friends and will become a magnificent remembrance of Russia. 7 Nested Matreshka Dolls, Classic Design Pink Flower 230mm/9"
Nesting Doll (Matryoshka) "Berries" Russian Traditional Souvenir, 7 Pcs, Height - 8"
Nesting Doll (Matryoshka) "Berry Basket" Russian Traditional Souvenir, 5 Pcs, Height - 7"
Wooden Spoon Coloring Art Kit, 1 pc, 7.5"